Store Communication and Execution, Merchandising and Loss Prevention. 2019 is abuzz with the momentum of companies jumping to create a niche for themselves in the emerging market. As cannabis becomes more widely accepted thanks to legalization in Canada, and some additional US States, the market will continue to boom with new products. Though cannabis edibles will not be legal in Canada until Oct 17, 2019, many producers are already preparing for the day that federal regulations are in place. Deloitte estimates that six out of ten interested Canadian cannabis consumers will decide to try new edible products when they become legal. In US states like Washington and Colorado, consumers can already buy numerous products including high-end candies, chocolates, mints, and even coffee. Brands in this category are targeting a new, underserved consumer base with elegant packaging and sophisticated offerings in the US. According to Vogue, edibles producer Lord Jones is an Instagram star thanks to its chic packaging and celebrity collaborations with bands like Sigur Rós from Iceland. For Canadian Cannabis Retailers, adherence to the regulations for edibles should be top of mind. For every edible (or drink) contained in a childproof package, the product can only contain up to 10 mg of THC. Lord Jones is also popular for their hemp-derived CBD oils and lotions. A Forbes headline declared, “Cannabis Could be the Most Profitable Ingredient in Skincare,” with the CBD market growing to $170 million in 2017 and poised to reach $1 billion by 2020. Purveyors and users claim topical CBD products can offer relief for sore muscles and are said to have the added benefit of anti-inflammatory and anti- ache properties. Constellation Brands, owners of Corona and Kim Crawford Wines, acquired 10% of Canadian cannabis producer Canopy. Together they are developing a nonalcoholic cannabis beverage for release in 2019 when the Canadian government is expected to greenlight marijuana beverages. In August 2018, Molson Coors announced a partnership with Canadian medicinal cannabis producer HEXO to develop non-alcoholic cannabis-infused drinks. Though cannabis is still illegal throughout most of the United States at the Federal level, it is already influencing culinary proclivities. The Specialty Food Association listed Cannabis as a top food trend in 2018. Cooking with cannabis is a growing health trend, said to alleviate pain, lessen anxiety and manage insomnia by Health.com. With legislated regulation leading to more predictable dosages, 2019 will see an influx of new customers looking for an alternative to opioids for pain management. It was estimated that the legalization of Cannabis in Canada last year would potentially create a $23 billion business opportunity for retailers. In the US, BDS Analytics estimates the industry’s sales (cosmetics, consumables, and recreational cannabis) to rise to an estimated 21 billion by 2021. Will you be ready? A marijuana dispensary compliance checklist ensures that your dispensaries have the right processes and systems in place to meet regulatory, community and health and safety standards. Compliant IA is the leading retail audit platform. It runs on smartphones, tablets, and laptops. 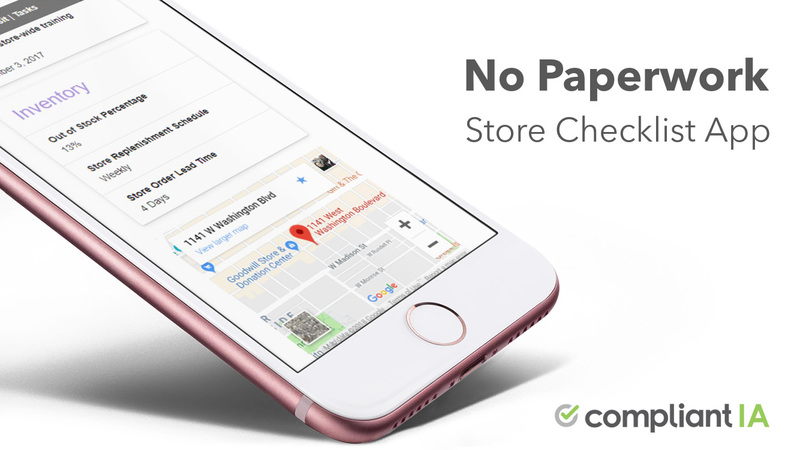 Field managers and stores use the app to complete smart checklists at store-level, take photos, and assign tasks with automated reminders. Head office can ensure programs are deployed in time, in full, everywhere. 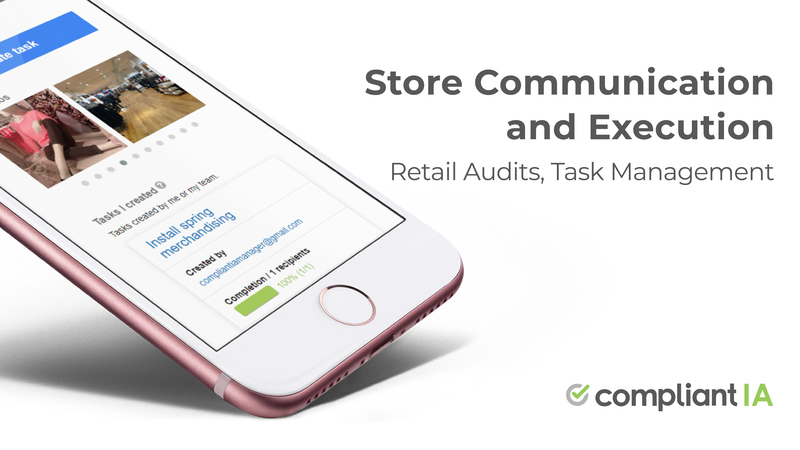 Retail Audits, Task Management and Social Collaboration. The world leader in store communication and execution.